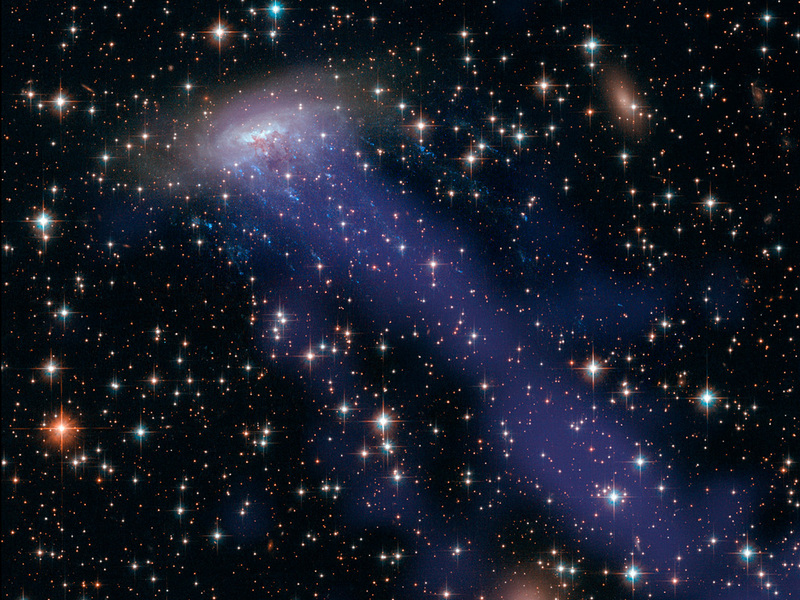 Explanation: Spiral galaxy ESO 137-001 hurtles through massive galaxy cluster Abell 3627 some 220 million light years away. The distant galaxy is seen in this colourful Hubble/Chandra composite image through a foreground of the Milky Way's stars toward the southern constellation Triangulum Australe. As the spiral speeds along at nearly 7 million kilometres per hour, its gas and dust are stripped away when ram pressure with the cluster's own hot, tenuous intracluster medium overcomes the galaxy's gravity. Evident in Hubble's near visible light data, bright star clusters have formed in the stripped material along the short, trailing blue streaks. Chandra's X-ray data shows off the enormous extent of the heated, stripped gas as diffuse, darker blue trails stretching over 400,000 light-years toward the bottom right. 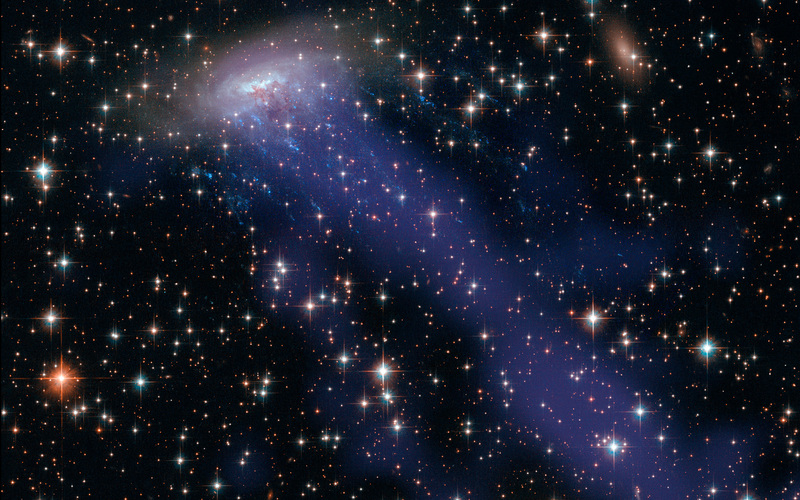 The significant loss of dust and gas will make new star formation difficult for this galaxy. A yellowish elliptical galaxy, lacking in star forming dust and gas, is just to the right of ESO 137-001 in the frame.